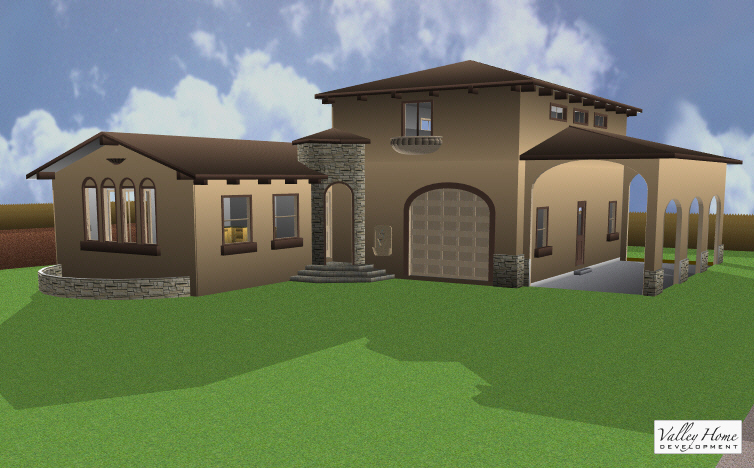 This design deals with a split level lot and requires us to site build a garage and install a two story Modular home on top of it. 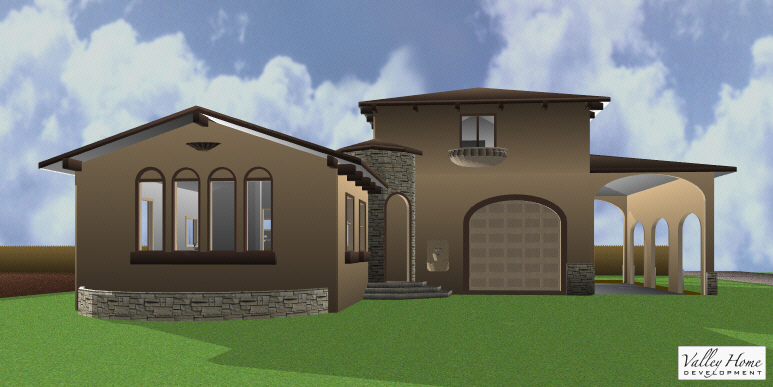 The entire home will be wrapped in real stone to give it an authentic Tuscan look. The two story entry and 18’ bi fold are just a couple details that make this home feel open and connected to the environment. 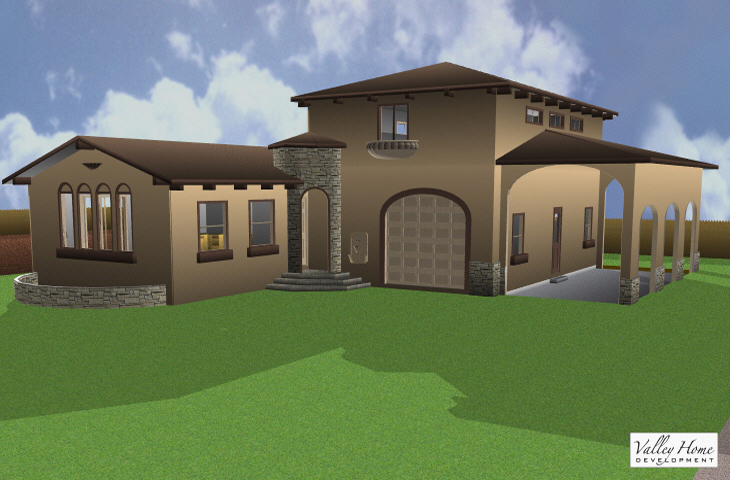 When we met with this client they wanted to look at the possibility of restoring the existing home. When we looked into the costs to address the foundation work and dealing with the asbestos it was decided that the best thing to do was replace the home. The property sits within a Home Owners Association (HOA) so there were some strict guidelines on what could be built to fit within the neighborhood. 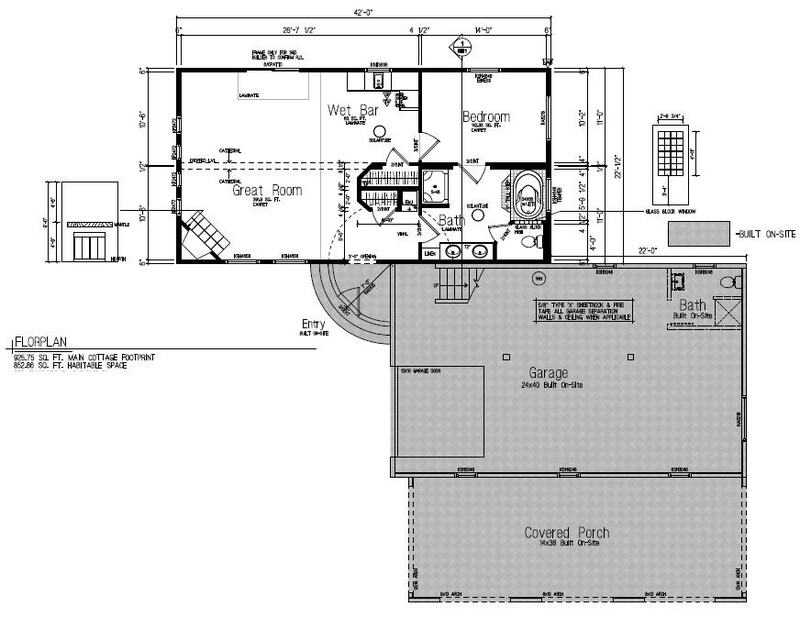 This is a two phase project that starts with building a 920sqft Modular guest house with attached site built two story garage and RV carport. Once this home is completed the owners will remove the existing home and build the main house to match the new guest house. 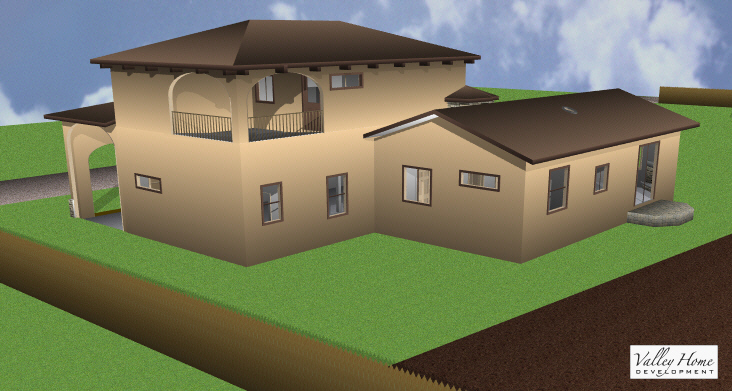 Everyday people call our office looking for information about building a home using one of our advanced building methods. Usually the conversations center on one technology vs. the other based on the information they give us. If you have great access to a flat building area we recommend a Modular solution. If access is limited or the design doesn’t fit our box building templates, we suggest a Panelized solution.